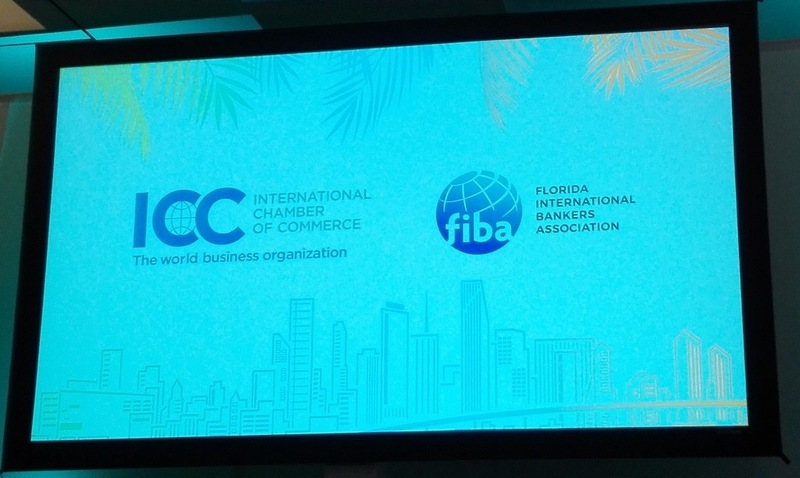 Link for the presentations from the ICC Banking Commission Annual Meeting held in Miami, April 2018. 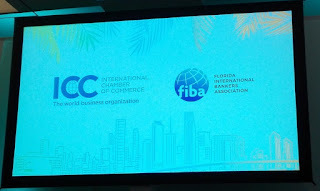 Between the 4th and the 6th of April, I attended the Annual Meeting of the ICC Banking Commission in Miami. With the theme “Navigating trade in a world of disruption” the various presentations and roundtables, touched upon the issues that are central to trade finance today. - Managing and Thriving in the ‘New Normal of Uncertainty’, addressing the concerns over protectionism. - Disruptive Technology and the Future of Trade, discussing the new digital economy and trade finance, and the advent of FinTech and new players entering the market. - Trade Trends and the Changing Perception of Risk, specifically, correspondent banking and derisking. - Trade Based Money Laundering. Combatting illicit trade, fraud and money laundering. A great occasion to learn and network. A few days ago, I was asked about financial inclusion, and I wanted to share the notes I made on the subject. - Having a current account and a debit card? - Having access to credit? - Making sure that everybody knows how to manage their finances? The second question was, why is it that large parts of the population, in certain countries, and a total of 2.5 billion people globally, are excluded from the financial system? - Is it because they do not have physical access to a bank? - Is it because the banks do not consider them as a risk free and profitable customer? - Is it because people don’t trust banks? - Is it because people work in the informal economy and, thus, would not enter into a banking relationship that could attract the attention of the tax authorities? The third question was, what do the different players want to achieve with increasing financial inclusion of the world population? - Is it a genuine desire to include everybody in the financial system so that they have access to credit and a secure way to conduct their finances? - Is it a genuine desire on behalf of governments to equip their citizens with the financial education necessary to make informed financial decisions, participate in the productive economy and, thus, contribute to their countries economic growth? - Is it just a means for banks to rein in more customers and make more profits? I suppose that the answer to all of the above questions is: Yes, or rather, that the answer is a mixture of all of the above, depending on who is answering. Notwithstanding the above questions, and the objectives/reasons of the different actors, what appears to be true is that technological innovation and, more specifically, innovation in mobile communications coupled with the development of FinTechs that are challenging traditional banks, are playing a crucial role in financial inclusion by providing Mobile Financial Services at lower costs to consumers. Having said that, the price of accessing mobile communications could present a problem for low-income groups, that could be augmented if they live in regions where cell phone coverage may be an issue. Etiquetas: Financial Inclusion, FinTechs, Mobile Financial Services.